3 Bedroom Detached Bungalow For Sale in Beckenham for Asking Price £595,000. 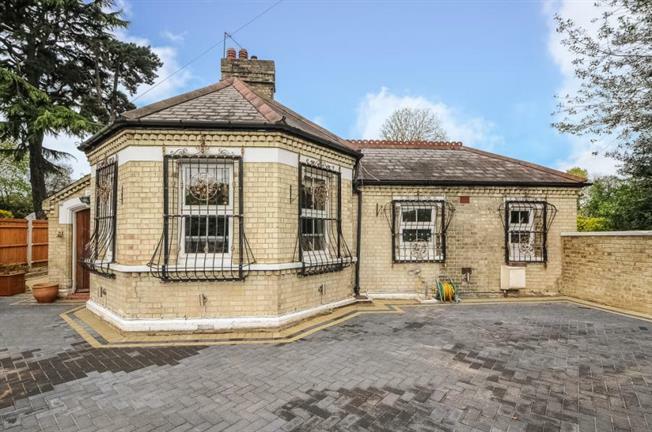 Rarely available this Arts and Crafts three bedroom link detached bungalow, offering above average sized accommodation with outstanding features of the period. The property boasts a lounge with feature fireplace, open plan fitted kitchen/diner, three double bedrooms, separate shower room, plus family bathroom. Externally there is a newly brick paved courtyard with off-street parking for four cars. Situated on South Eden Park Road with access to Eden Park rail station with services to the City. The property is within close proximity to Unicorn Primary School and the ever popular Langley Boys and Girls Secondary Schools.